Expanding its kitchen range, Martin Moore has announced four kitchens for its Muswell Hill showroom. 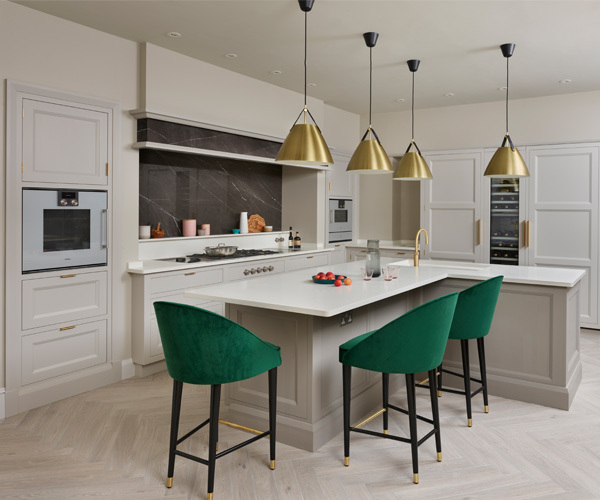 The New Deco Kitchen draws inspiration from the 1930s, focusing on the use of feature materials, including book-matched marble, plain and decorative limestone, metallics and veneered timbers. Also, the New Classic Kitchen includes the spacious walk-in larder, which provides ambient storage. The existing English and Architectural Kitchens are also available.